The above info came from atomofish, and was edited by yours truly (contact me). The image came from Amazon. 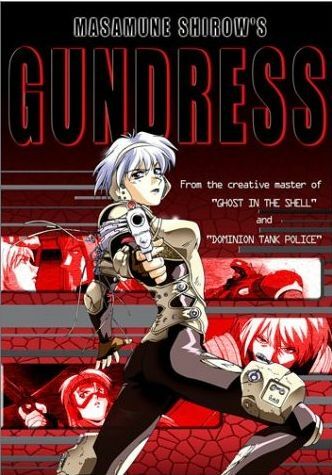 Gundress takes place at newly built Bayside City in the year 2100. This futuristic metropolis, however, is not without its problems. Terrorism and illegal smuggling run rampant up to the point where not even the police are able to handle the job. That's where the Angel Arms come in. A group of 6 women, each with a mysterious past, team up to create the freelance anti-terrorist team for hire in order to tackle crime too tough to handle. However, the Angel Arms must face their biggest mission yet when they are assigned to protect an arms dealer withholding some very important information.